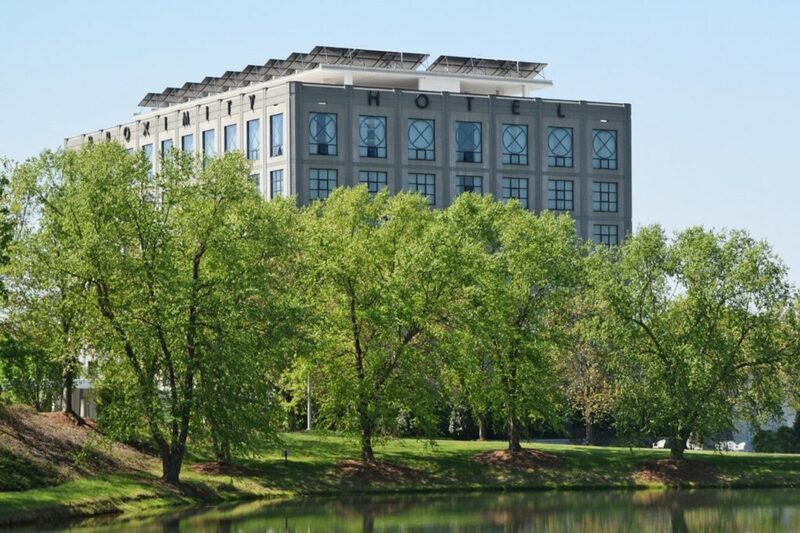 The LEED Platinum-certified Proximity Hotel, in Greensboro, N.C., is topped with 100 solar panels. In one sense, the Proximity Hotel in Greensboro, N.C., shouts its environmental bona fides from the rooftop. 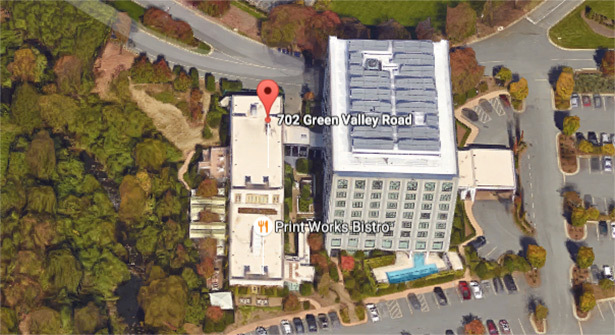 One of the first sights that greet guests as they turn in to an otherwise nondescript office park off Green Valley Road are the 100 solar panels perched atop the handsome hotel, which from afar looks like an old textile warehouse lovingly brought back to life. The hotel’s lobby is furnished with locally made furniture. “We are the greenest hotel in America,” a receptionist enthusiastically informs me from behind a floating front desk in the lobby, pointing out that many of the materials used to build the hotel were regionally sourced and almost all the construction waste was reused or recycled. (Much of the furniture also was produced within 18 miles of the hotel — a feat perhaps easier to pull off in one of the country’s furniture meccas). In my loftlike room on the Promixity’s top floor, with its stunning floor-to-ceiling windows, exposed concrete walls and towering ceiling, a card on the plush king-size bed details more of the hotel’s Earth-loving ways. “Chances are the hot water you enjoy will be heated by today’s or yesterday’s sunlight!” it reads. I learn that the hotel circulates “fresh yet filtered” outside air to its guest rooms year-round, that the elevators are “the first in North America to generate electricity as they descend to use for the ascent,” that high-efficiency faucets and toilets reduce water usage by 33 percent, that the hotel overall uses roughly 40 percent less electricity than a conventional hotel and that the kitchen in the downstairs restaurant uses a geothermal cooling system. It’s quite a pitch. Enough to make a climate-conscious traveler swoon, or an ordinary traveler’s head spin with the earnestness of it all. Not to worry. There is no deprivation in the proximity of Proximity. 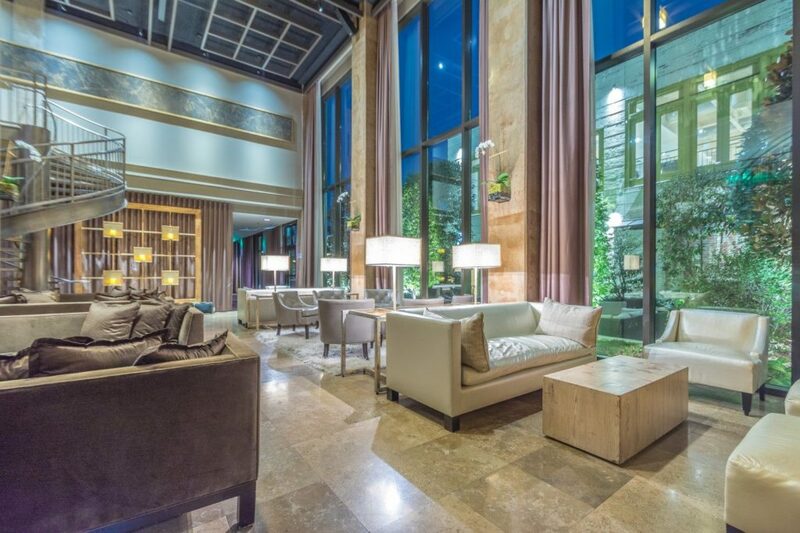 The furniture might be locally manufactured and the construction materials carefully recycled, but sitting in the hotel’s airy two-story lobby one afternoon, I was struck not by the sustainability of it all but by the serenity. The chairs and couches were comfortable and inviting. White orchids hung from the walls. Natural light spilled in from massive windows, which overlooked an interior garden brimming with bluebells and flowering magnolias. Later, in the adjacent Print Works Bistro — a cozy restaurant that could have been plucked from a Paris side street — I frankly gave little thought that the bar had been made from salvaged walnut trees, the service trays from Plyboo (bamboo plywood) or the drink coasters from cut up pieces of cardboard. Rather, I spent much more time savoring the perfectly seared hanger steak, locally sourced vegetables and a beer from a nearby brewery. 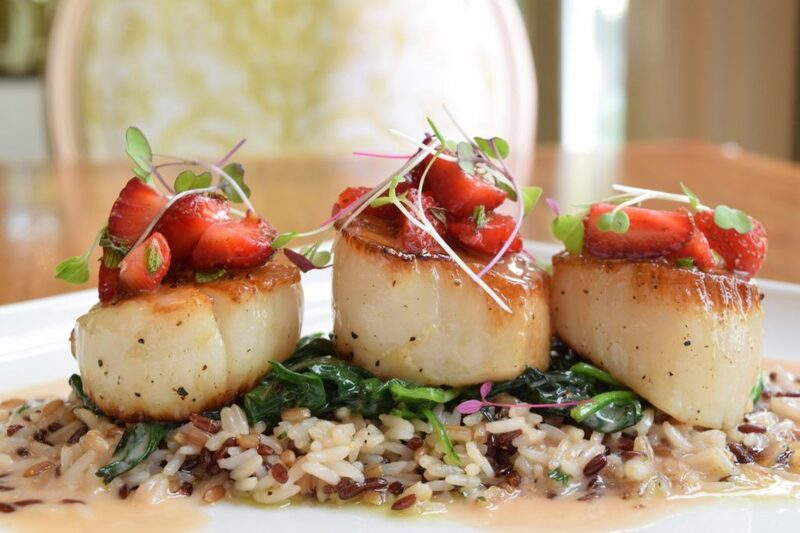 The hotel uses locally sourced and seasonal food, such as pan-seared sea scallops paired with fruits and vegetables. This is how it was intended to be, according to Proximity’s enthusiastic, idealistic-but-practical co-owner, Dennis Quaintance, who along with his wife, Nancy King Quaintance, conceived of the hotel. In part thinking about the sort of legacy they wanted to leave for their twin children, the couple decided to build a hotel centered on sustainable practices, but not one known only for that. The Quaintances, who also own the nearby O. Henry Hotel and several restaurants, oversaw every detail of the Proximity, right down to the low-flow toilets they finally decided upon after testing out different models in their own home week after week. The “commode du jour,” their daughter called the rotating models in the bathroom near the family kitchen. A decade later, Dennis Quaintance — a man who walks the several miles from his home to his hotels most days — has become an ambassador for making sustainable choices. “It’s a myth, absolutely a myth, that it’s more expensive,” he says, noting that the couple recouped any higher upfront construction costs in about four years by what they saved in tax credits and lower energy costs. After all, they are business executives first. “It’s not sustainable to go broke,” he says. 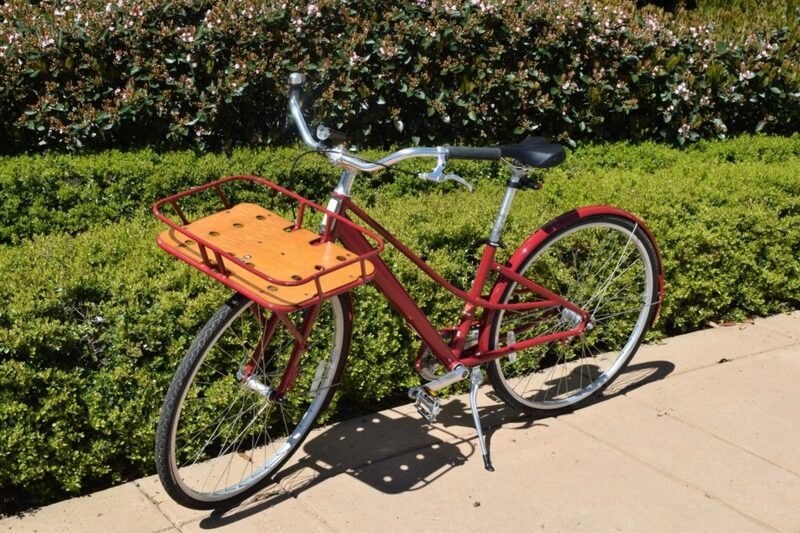 Guests have the option of exploring Greensboro by bicycle; owners Dennis and Nancy King Quaintance wanted to build a hotel centered on sustainable practices. A decade on, the couple has continued their eco-conscious ways. For instance, they employ more than a half-dozen craftspeople in a studio not far from the Proximity. There, worn out chairs get reupholstered and refreshed rather than scrapped and replaced. An artist-in-residence makes charcoal-on-canvas sketches that adorn guest rooms and common areas. The group also builds custom furnishings for the hotel — antiqued mirrors, one-of-a-kind tables, cabinets, chairs and lampshades — that are more unique and typically less expensive than buying from outside vendors. “To me, it just seems more soulful, more authentic,” Quaintance says. And that’s the difference. The solar panels, the high-efficiency plumbing, the salvaged wood and recycled construction materials — it’s an admirable, Earth-friendly approach, not to mention an apparently astute business decision. But I suspect what prompts so many of Proximity’s visitors to make return visits has very little to do with its carbon footprint and a lot to do with its undeniable charm. Authenticity and soul, it turns out, might be the most sustainable qualities of all.